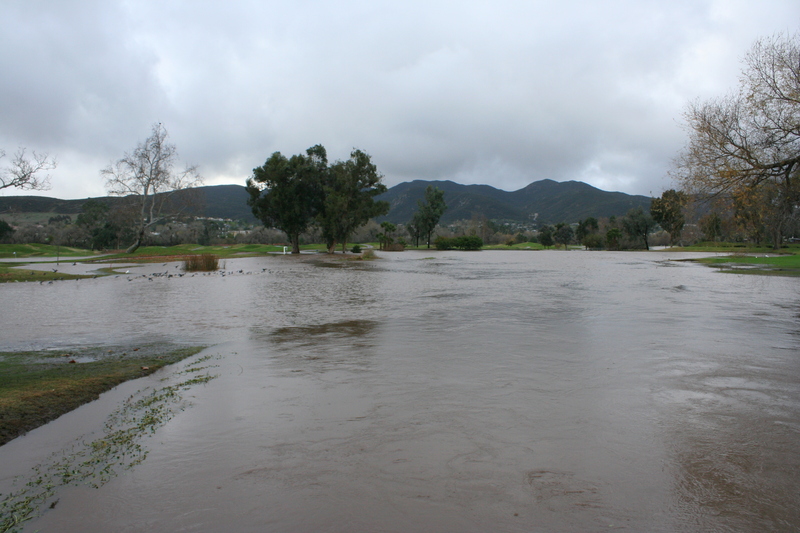 The week of rains that passed through San Diego County left quite a mark in Santee. 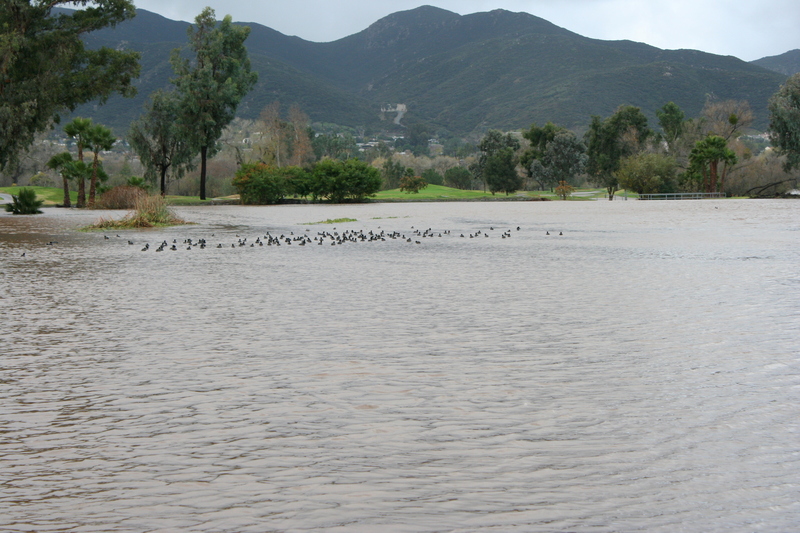 One of the hardest-hit areas was the Carlton Oaks Country Club, which became Carlton Oaks Lake for several days. 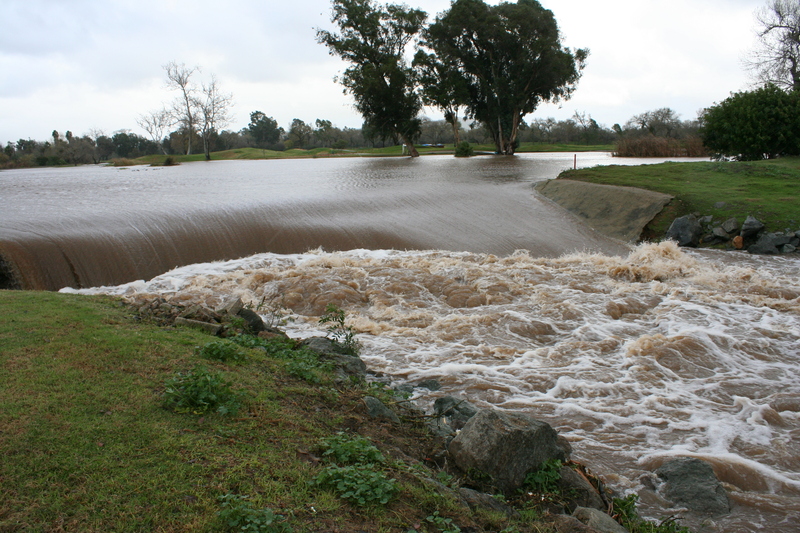 In addition to flooding out the golf course, the storms damaged a Padre Dam sewage pumping station near the golf course, caused 1.2 million gallons of sewage to spill into the river. It took several hours for workers to stop the flow and to install temporary lines to bypass the break. Because of the contamination from this spill and other pollutants washed into the ocean over the past week, officials are recommending that people stay out of the water for at least the next 3 days. 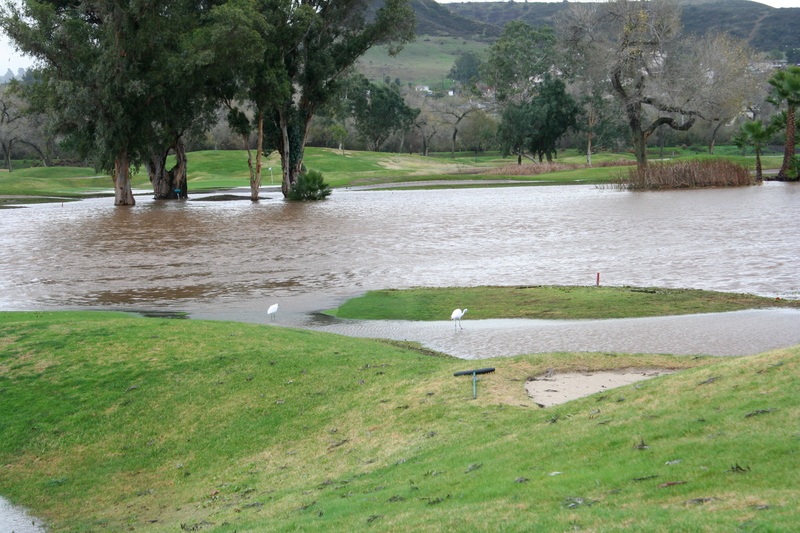 Currently there is no estimate on when the lake will return to its normal golf course conditions. 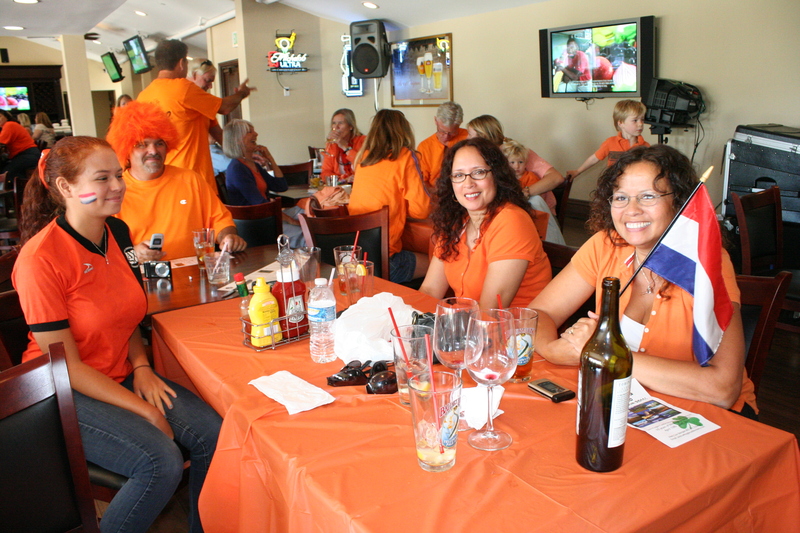 Coots on Carlton Oaks "Lake"
It was an invasion of Oranje proportions on Sunday, July 11, as fans of the Netherlands descended on Carlton Oaks Country Club to root for their team in the 2010 World Cup championship game. 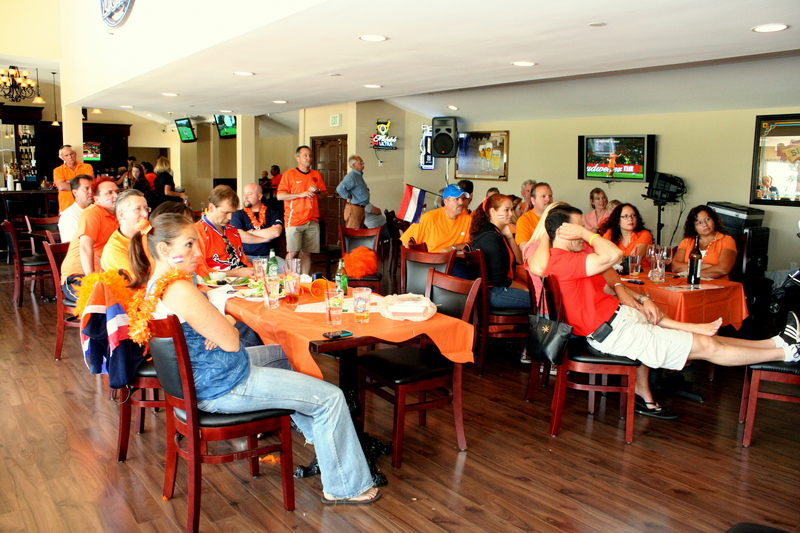 Local business owners Thomas and Caroline (VanderWel) Hootman welcomed the small but enthusiastic crowd to the newly renovated Oaks Bar and Grill, which was suitably decked out with orange tablecloths and decorations. In an effort to counter the prediction of a Spanish victory by Paul the prognosticating mollusk, the couple even brought octopus salad for everyone to share. Sadly the sushi sacrifice was ineffective and Spain did go on to win in overtime. 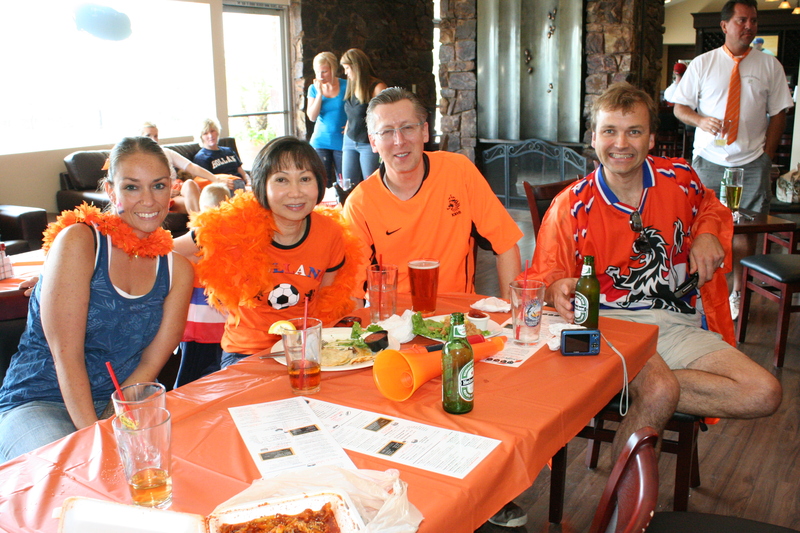 But in spite of the disappointing conclusion to the game everyone enjoyed the chance to get together and cheer for the Oranje. 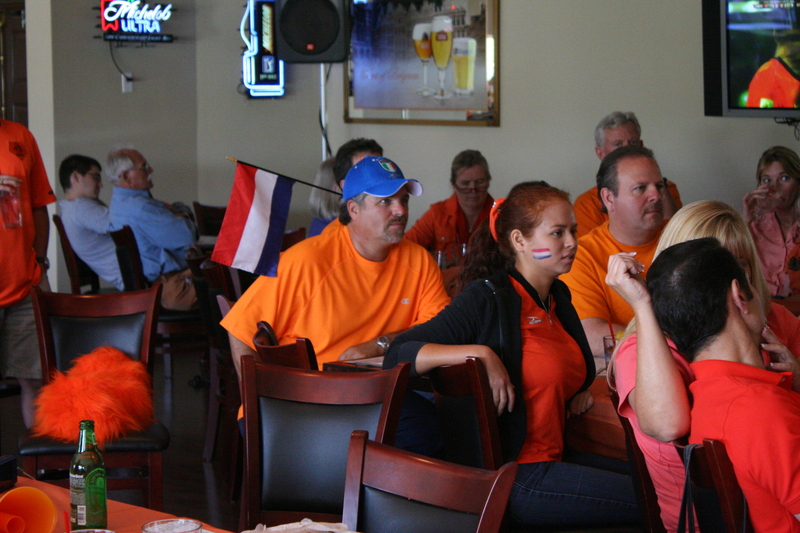 Caroline, a native of the Netherlands, wore orange for her team, as did nearly everyone else who attended. 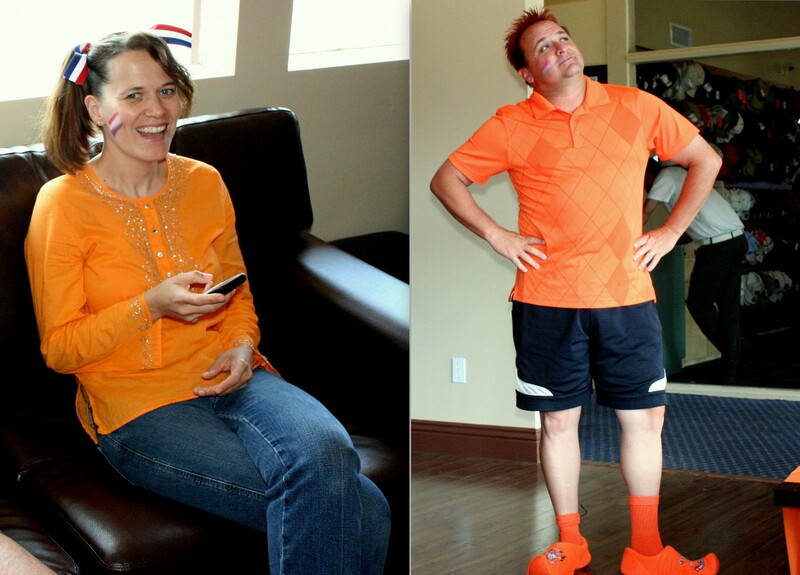 However her sartorial enthusiasm for the Dutch was eclipsed by her husband who threw himself completely into the colorful theme from head to toe. For more on the game and the day, check out the story on Santee Examiner. Enjoy a few more pictures from the day. On Wednesday, June 24, Carlton Oaks Country Club was the site of the 6th Annual Golf Classic to support the Santee School District Foundation. Some 100 golfers signed up to play and raise money to help support technology and the arts in Santee Schools. In addition to the players, some three dozen companies and organizations signed on to sponsor the event. All money raised from entry fees, sponsorships, raffles, and the silent auction go toward a $40,000 pledge the Foundation has made to help the School District reach its technology goals. This year’s turnout was slightly lower than last year’s, due in part to a combination of the economy and multiple local tournaments in May. But the lower numbers didn’t mean any less fun and enthusiasm among players, Foundation members, and other volunteers. An extra “atta-boy” goes to Thomas Hootman, of Simply Spa, who stepped in to cover for Chamber Executive Director Warren Savage, who had to attend the Las Colinas hearing downtown that same morning. Simply Spa also provided chair massages for golfers who had perhaps strained an oblique teeing off on the 18th hole. Another sponsor, North Island Credit Union, provided carne asada tacos to help keep players going until the big dinner. They were also popular with the volunteers. 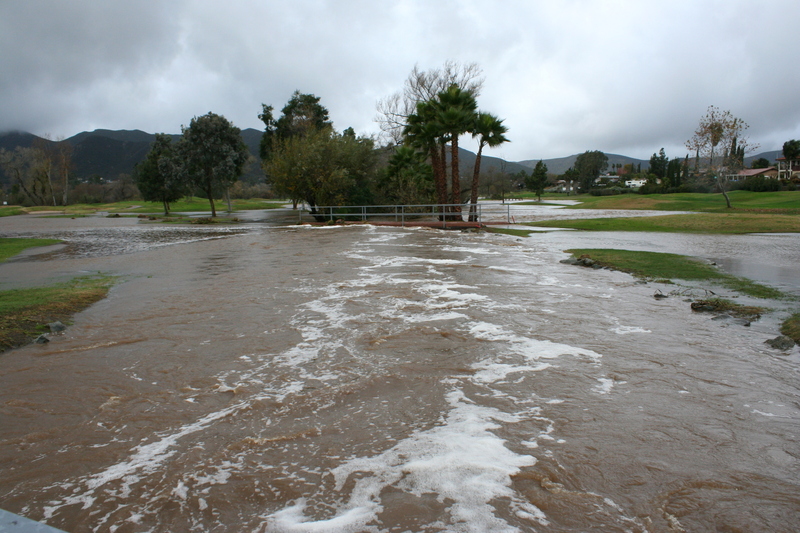 None of this could have happened without the efforts of the Santee School District Foundation. A hearty congratulations to the Foundation and its volunteers.